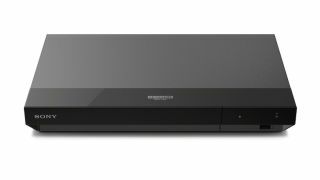 Sony launches UBP-X500 budget 4K HDR Blu-ray player | What Hi-Fi? Say hello to Sony’s most affordable 4K disc spinner to date. While 4K Blu-ray players have appeared piecemeal over the last couple of years, Sony has been the most consistently successful brand in the market so far. Its first, the UBP-X800, won a 2017 What Hi-Fi? Award, while both its pricier offering (the UBP-X1000ES) and budget contender (the £249 UBP-X700) also bagged five stars. Sony hopes to continue its streak with its latest and most affordable 4K HDR disc spinner, the £200 (and unsurprisingly named) UBP-X500. This new Sony player can handle Blu-rays with 4K and HDR10 - but unlike the Sony UBP-X700 (which can now be picked up for less than £200, by the way) it doesn’t appear to support Dolby Vision HDR playback with compatible Sony 4K Vision-enabled TVs. We’ve asked Sony whether it has plans to enable support in the future. It does include Dolby Atmos and True HD audio support, though, and in addition to 4K Blu-rays can play standard Blu-rays along with DVDs and SACDs. Sony says the UBP-X500 will be available in the UK from mid-August, so expect to see it on shelves in the next week or two.